Q: Does it cost me anything to use you as my travel agent? A: No, it does not cost you a dime. Commissions are paid to Keys To The Kingdom Travel directly by Disney. You can sit back, relax and let me plan your vacation for FREE! Q: What if I have already booked my Disney Vacation can you help? Q: What if I book my Disney Vacation and a discount comes out? A: No worries! If you have already booked and Disney releases a discount for your travel dates and resort, I will have the discount applied to your reservation. You are not penalized for booking early! Often I know about discounts/promotions before the general public does. I will constantly monitor your reservation to make sure you recieve the best discount possible! 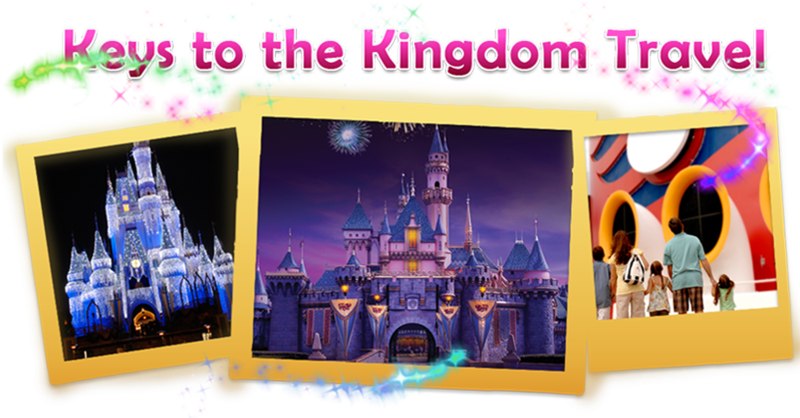 Q: Why should I choose Keys To The Kingdom Travel? A: I LOVE my job and I only plan Disney Vacations! I am available 7 days a week for all your Disney needs!